Jeff Bezos. Photo: David Ryder/ Getty Images. Amazon is recalling 260,000 Amazon Basics-branded external power banks. There have been 53 reported cases of the devices overheating and igniting, in at least one case causing chemical burns, according to the Consumer Product Safety Commission. The devices were sold between December 2014 and July 2017, and owners should receive an email explaining how to get a refund. Amazon is feeling the heat. 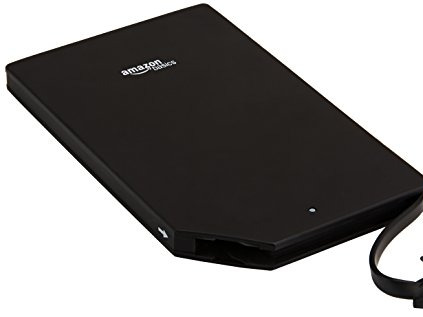 The company has voluntarily recalled six models of its Amazon Basics-branded external power banks, amounting to about 260,000 devices, that were found to have a flaw that could cause them to overheat or ignite. There have been 53 reports of this happening, according to the Consumer Product Safety Commission, including one that said the device’s battery acid caused chemical burns and four that mentioned property damage from fire and smoke. Consumer Product Safety CommissionThe Amazon Basics device in question. The CPSC says people who own the devices should unplug them and stop using them immediately. The models, which have a capacity of 2,000 to 16,100 mAh, are primarily used as a portable power source for electronics like mobile phones and tablets – when you need extra power but don’t have an outlet at hand. The recall applies to power banks sold on Amazon’s website, at Amazon Books stores, and at Amazon pop-up stores between December 2014 and July 2017. The devices cost $US9 to $US40 and were manufactured by Guoguang Electric in China. The CPSC says Amazon is contacting people who purchased the products, which include the ID numbers B00LRK8EVO, B00LRK8HJ8, B00LRK8I7O, B00LRK8IV0, B00LRK8JDC, and B00ZQ4JQAA. For owners of the devices who haven’t been contacted, Amazon has created a recall page.